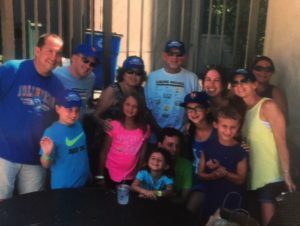 With great sadness and fond remembrance, the Plainview-Old Bethpage Chamber of Commerce recently announced the untimely passing of Marcia Finkelstein, who suffered a severe brain hemorrhage on Mother’s Day and died on May 22 surrounded by her loving family. An active member for more than a decade, Finkelstein enthusiastically served on the chamber board of directors for many years. Among her myriad contributions, she led the chamber scholarship committee and participated in most chamber activities, including its annual Fall Festival, holiday parties and charity support membership outreach. Finkelstein eagerly promoted the chamber to her many colleagues and to the community, according to chamber president Elan Wurtzel, who said her vibrant spirit and tireless helping hand will be greatly missed. Marcia Finkelstein (front, far left) was an integral part of the chamber’s functions. 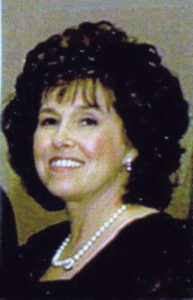 A Plainview resident for more than 40 years, Finkelstein was a fixture in the local real estate business since 1977; first as a real estate broker and then for 22 years as the real estate broker/owner of Robin Realty in Plainview, during which time she was able to serve the community in the capacity of a small business owner. For the past several years, she has been a broker associate of Lynda Baker Realty. Finkelstein (seated, center) helms the table at last June’s barbecue meeting, with another Plainview legend, Judy Jacobs, standing behind her. Previously, Finkelstein was a New York City elementary school teacher and held a license as a teacher for the deaf and hard of hearing. She received her bachelor of arts degree from Queens College and her master’s in education from Hunter College. Over the course of her long career, Finkelstein was involved in many business organizations and earned several professional certificates. She also served her community through the Plainview Jewish Center. 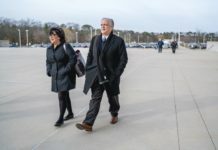 But her most precious time spent was with her family: Her husband Harold, a tax attorney and Hofstra University professor; their three married children and six grandchildren, with whom she enjoyed cooking, reading, gardening and playing sports. Marcia Finkelstein, with vice president Bryan Trugman, was a fixture at the check-in desk at meetings. Marcia Finkelstein and her many loving family members. 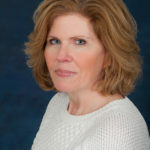 Barbara Mars is a freelance writer and editor, manager of corporate communications and on the board of the Plainview-Old Bethpage Chamber of Commerce.